Hold the fabled Book of Light in your hands! Long live the book! Every now and then, a self-proclaimed expert comes along and claims that books are dead. Even though we really like technologies like e-paper and are avid readers of eBooks on various devices, we think that statements like this are ridiculous. After all, vinyl records do still exist and even tape is making a comeback! 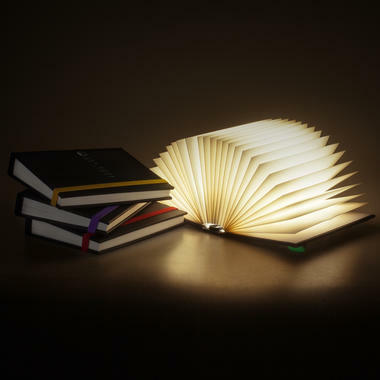 Whether you're set on paper, you prefer eBooks or you're a pragmatist who uses both, the Book of Light Book-Shaped Mood Light will illuminate all your pages. 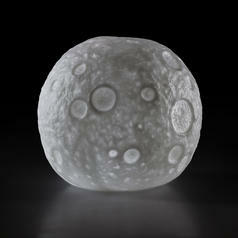 Behind the cover of this small book, a full-fledged light is stored. 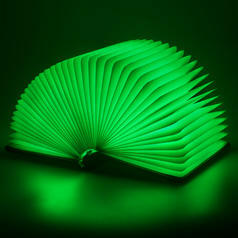 Once you open the book, the pages will fold out like an accordion and light up. The 2 x AAA batteries (included) will power the Book of Light on the go, and at home you can use a micro USB cable (not included). Please note: The colour of the elastic strap that keeps the book from accidentally opening is chosen randomly. vanaf 14,95 € lade... Eenhoorn Nachtlicht Dit is een eenhoorn en een nachtlicht waarvan niemand zonder zou mee moeten leven! 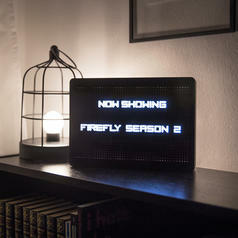 24,95 € lade... Light-Up Pegboard This message board will light up the dark! 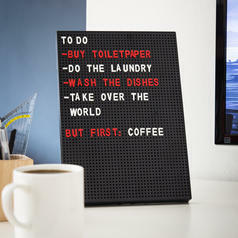 vanaf 11,95 € lade... Pegboard Say goodbye to pen and paper, it's pegboard time! 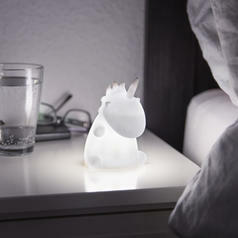 19,95 € lade... Book Light - Book Shaped colour changing Moodlight One book, five colours  and tons of reading fun! 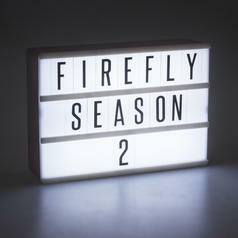 24,95 € lade... Light Up Cinema Message Board Get the cinema feeling on your own four walls! 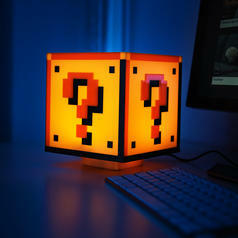 34,95 € lade... Nintendo Super Mario Question Block Light Brighten up your day with this Super Mario lamp! 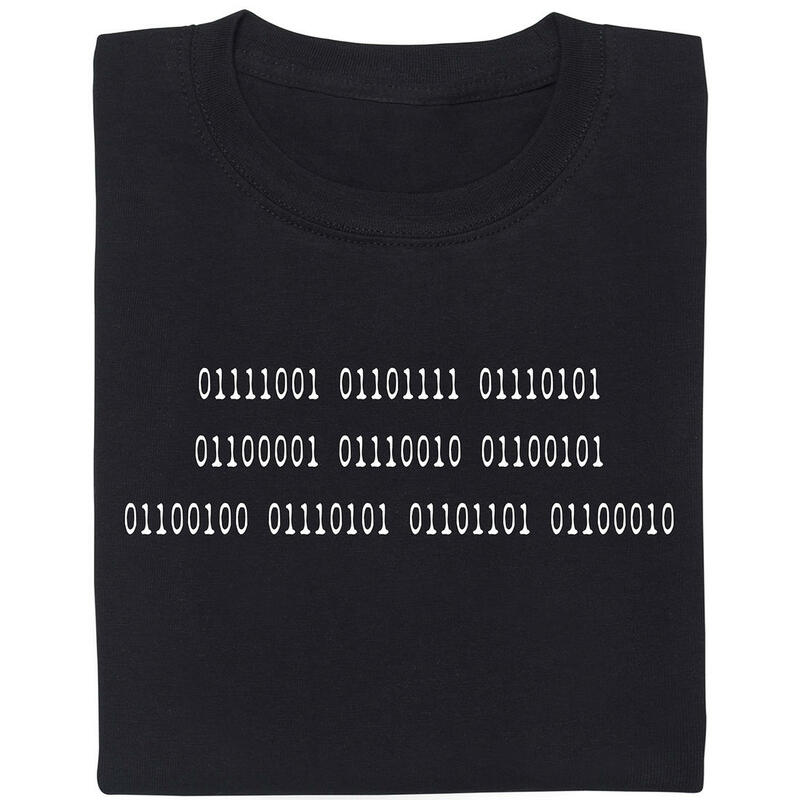 10,95 € lade... Maanlicht Je eigen kleine schijnende maan voor het nachtkastje. 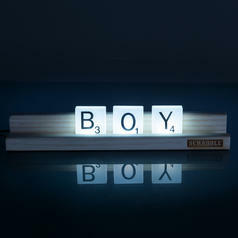 29,95 € lade... Scrabble Tile Light The perfect light for word lovers and board-game geeks!